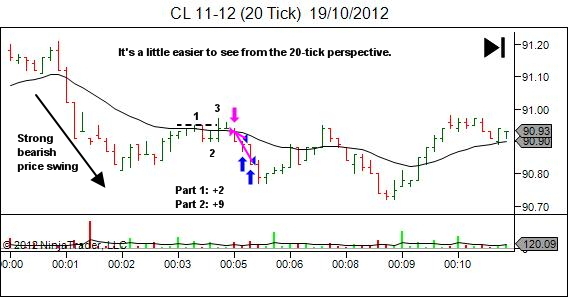 Lets look at a couple of recent trades which contain a single common element. 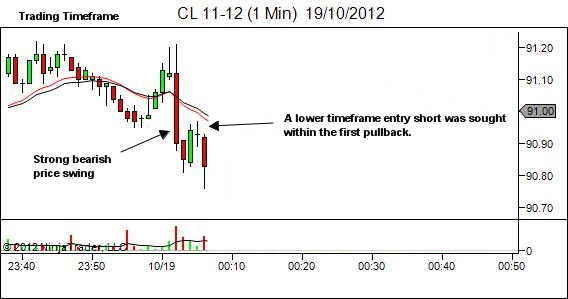 The following two trades are both an entry into the first pullback following a strong bearish price swing. 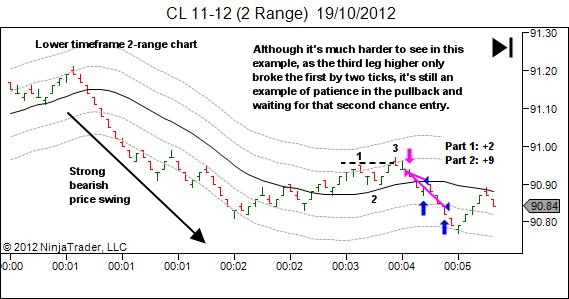 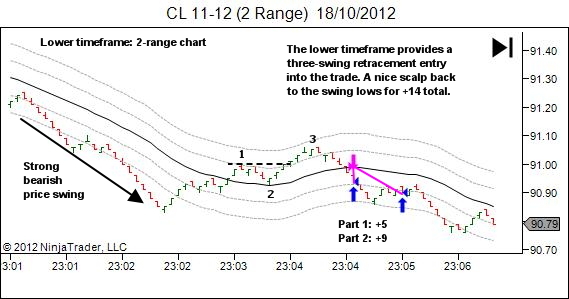 The common element in both is the way that I waited for a three-swing lower timeframe retrace. 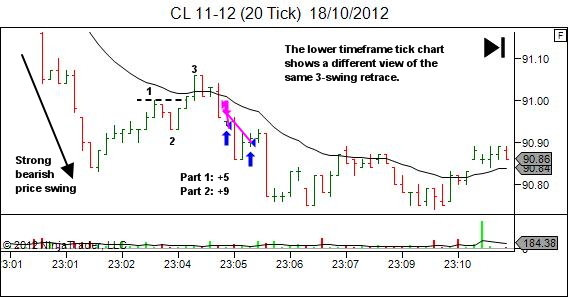 Just like the complex pullback on our trading timeframe provides a nice source of trap orderflow for continuation trade, the same concept can be used on the lower timeframe to trigger into a single leg trading timeframe setup. 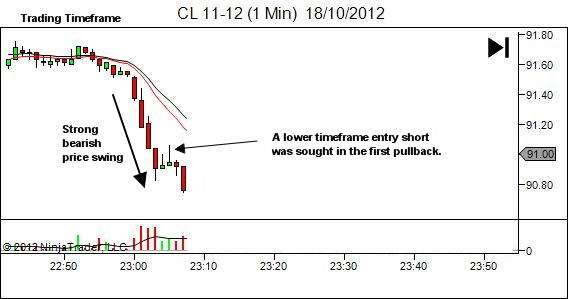 This is by far my preferred way of entering on the first pullback after a strong move… waiting for a lower-timeframe pattern based entry to stop me into the trade.